Having a receding gum line is something that can be embarrassing as well as something to be concerned about. Some of the problems involved with receding gums can be increased tooth sensitivity and other serious issues that could lead ultimately lead to tooth loss. It can be caused by multiple oral health issues such as extreme tooth decay, high levels of plaque or even gum disease. Gum recession is something that should not be left alone. If left untreated, harmful bacteria can build-up and lead to damaged dental tissue and your bone structure will begin to deteriorate which can in time lead to tooth loss. 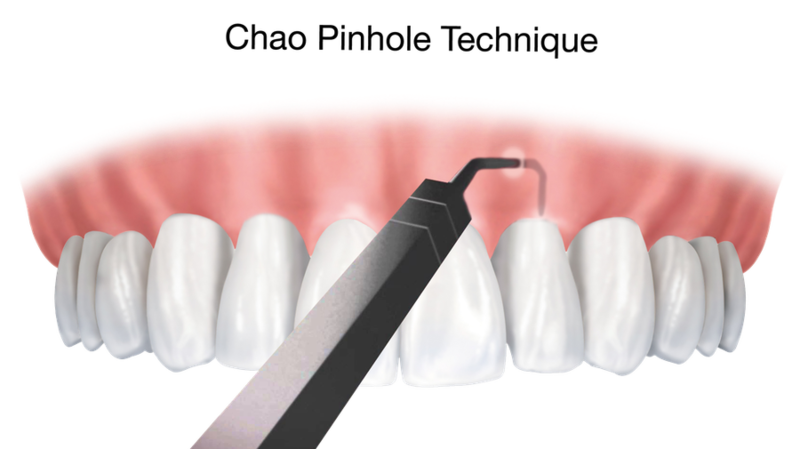 Gum grafting used to be the only way to treat receding gums or at least the most traditional method. During gum grafting, tissues will be take from one part of the mouth like the pallet and will then be sutured over your receding gums. Sound painful? It is especially if tissue is taken away and placed back over the treated gum area. The Pinhole Surgical Technique is a more non-invasive procedure that we would recommend over a traditional gum graft. During the procedure Dr. Trujillo will make a small hole in the gum tissue, then he will loosen healthy tissue and slide it down over the top of the the exposed teeth. Although this process is fairly simple, it’s popular because its effect at restoring the gum-line without patients having to undergo extensive surgery. The pain level is lessened compared to a gum graft and there is only some slight discomfort during the procedure. Performed without the use of a scalpel. Delivers an instantly improved appearance. Patients can enjoy a speedier recovery because there is no surgical wound or incision to care for. Can reverse receding gums on multiple teeth in a single session. Does not require a second surgical site like gum grafting. The Pinhole Surgical Technique offerd by Dr Trujillo in Phoenix has numerous advantages over traditional gum grafting procedures. The team at Arizona Periodontal Group is are happy to go over the benefits of the procedure with you. Contact us today for a consultation with Dr. Trujillo to reverse your receding gums.